Meeting with artist Paul Huxley, for artist personal reasons, will take place today, 15 JULY AFTER EXHIBITION SEASON opening, at artists’ exhibition. 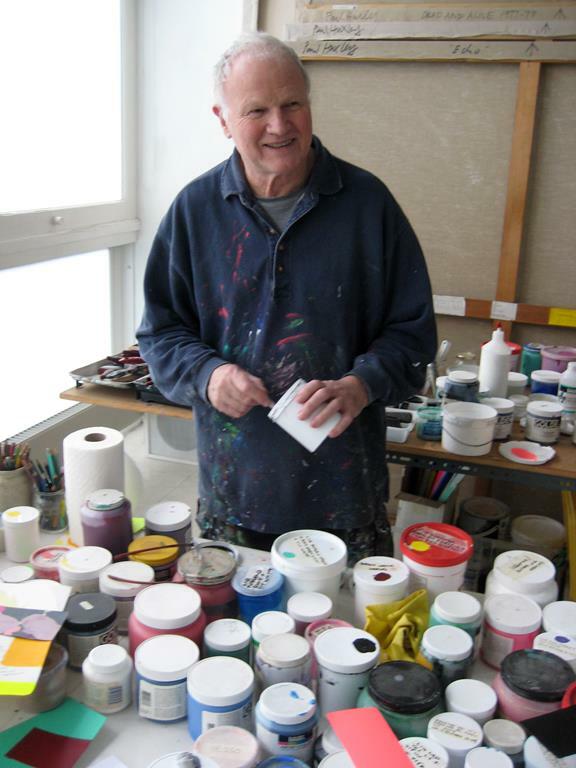 British painter Paul Huxley, who was born in 1938, has played a central role in British art both as internationally recognized artist and as a respected mentor. His art work is to be found in important collections in leading international and British museums. As a young artist Huxley was awarded a Stuyvessant fellowship which allowed to live and travel in the USA, while there he was to meet and befriended many of America’s leading artist including Mark Rotko. „For a few years in the mid 1960s I lived in New Yourk and mixed with many of the key artists and writers of the period. All I can do is to tell of my encounters with these extraordinary people,” told by the artist himself. Artist Paul Huxley about a 40-minute-long meeting, which will take place in English, all visitors free of charge.